Of course it's Mouse Guard. What were you expecting? So you’re a new game master. Maybe you’ve been a player for a while and want to take a seat behind the screen, or maybe you’ve never played at all and this whole “collaborative storytelling” thing sounds fun. What system are you going to choose? You could always just run whatever system you’re most familiar with as a player, but what if that system is terrible or you aren’t familiar with any system at all? These four systems may not be the best out there,* but each of them can serve as a good launching point for GMs new to the hobby. Which one you’ll pick will depend on what you’re trying to do with your game, so let’s get started! This image brought to you by Adventurers Against Practical Armor. In an unusual move for the roleplaying industry, Dungeons and Dragons’ 4th Edition (4E) was a radical departure from what came before. While 3rd Edition and 3.5 were sprawling, simulationist behemoths, 4E focused almost entirely on gamified combat. This move earned a lot of criticism,* but it also created a system that’s easy for new GMs to handle. In the core books at least, 4E is incredibly well balanced. It’s not 100% perfect, but it’s better than the vast majority of games out there. This is a huge help if you’re not experienced enough to tell what character options need to be rebalanced with house rules. If one player in your group picks a fighter and another plays a wizard, you can be fairly sure both of them will contribute equally to taking down the bad guy. 4E’s extreme focus on combat provides another bonus: you don’t have to think up a lot of story. If your players enjoy moving minis around on a square grid, then you can throw a few monsters at the group and have a good time all evening. 4E characters have so few noncombat abilities that you can plan a linear narrative and not have to worry that one of the PCs will have a teleport ability that lets them skip over the whole adventure. Characters are durable enough that you’re unlikely to accidentally kill one with a lucky crit. They also operate without D&D’s usual reliance on gear, so you don’t have to worry about magical items piling up into critical mass the way they do in other editions of the game. 4E’s balance comes at a price. 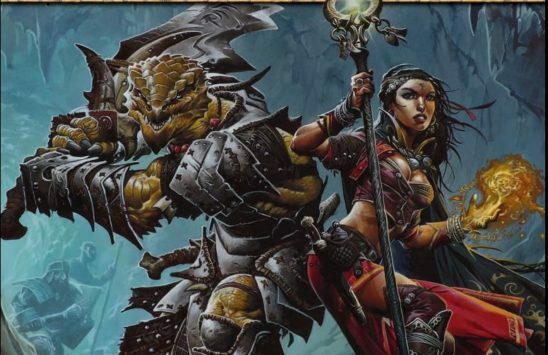 In the core books at least, many of the classes feel extremely similar, to the point that your players may wonder why they bothered making different characters at all. You can reduce this problem by allowing options from supplementary books, but doing that also increases the risk of imbalances. While the heavy focus on combat is a bonus for players who enjoy it, such a focus is an obvious negative for players who find combat boring. 4E has so few noncombat mechanics that you’ll have to work extra hard to find something for the more story- or setting-focused players to do. Another issue is how difficult 4E abilities are to explain within the story. For example, one of the Ranger’s abilities lets them shoot two arrows at once for double damage. This is a powerful ability, so it’s limited to once per day. That makes sense from a game balance perspective, but just try explaining to a player why their character can’t shoot two arrows a second time. * Maybe their fingers are tired? 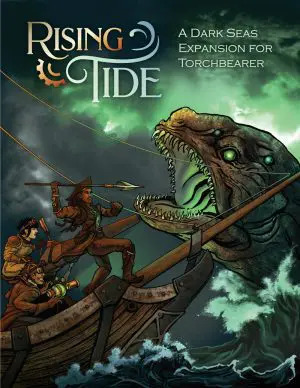 The best use of 4E is to run a short, combat-heavy campaign, with four to six sessions at the most. This gives you time to throw out a handful of awesome monsters from the book, plus a few of your own design. You get to have some cool set-piece battles before your players become bored with 4E’s lack of depth. Since the PCs have so few ways to influence the narrative, this is also a good time to practice a few basic stories before moving on to something more complicated. Guns, swords, and gorillas, oh my. Fate is an open-source roleplaying game designed for you to customize into whatever setting your heart desires. Its rules are extremely abstract, caring only for the character’s core abilities and ignoring miscellaneous bonuses other systems might grant from gear or other factors. Players may influence the story or give themselves bonuses by spending fate points, the game’s meta currency. For one thing, Fate is available for free, which is a major bonus for the cash strapped GM. For another, Fate lends itself to fantastic character creation. Players create their characters’ backstory and assign abilities based on the events described. In some Fate expansions like Spirit of the Century, this process is so intense that it feels like writing a short story. Players begin the game with a firm idea of who their characters are and how to play them. Fate has been expanded into dozens of official settings, from science fiction to high fantasy. 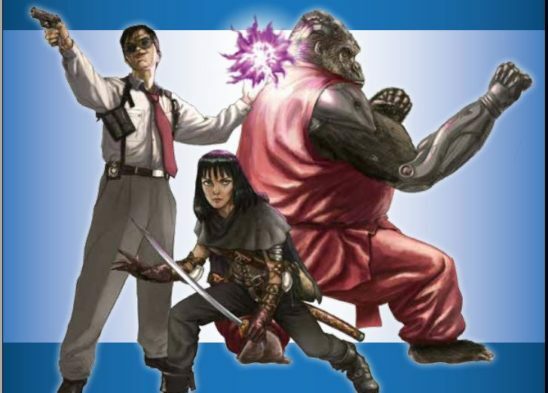 If you really liked the Dresden files, Fate has you covered. 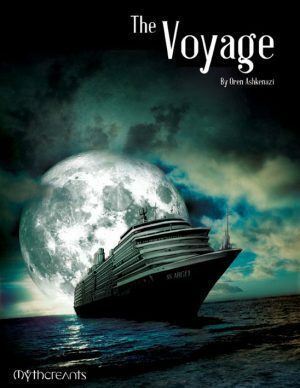 If you couldn’t figure out the rules for Eclipse Phase but liked the setting, there’s a Fate conversion waiting for you. If none of those appeal to you, it’s super easy to customize the rules until they fit the setting you want to use. The rules are so abstract that they’re very difficult to abuse. Almost every roll uses only a single skill plus any fate points the player wants to spend, so there are no bonuses to hoard. You don’t have to worry about one player discovering an ultimate combination of gear and special abilities that will destroy the game. While no system is completely immune to powergaming, its impact in Fate is minimal. In fact, the number of fate points spent ends up influencing the roll far more than the dice results themselves. As a result, players rarely fail rolls they care about. While failure can be an excellent storytelling tool, it can be difficult for new GMs to handle. Fate’s lack of failure means you don’t have to deal with disappointed players while you’re describing the next scene. On the other side, managing fate points can get monotonous quickly. The game offers about a million ways GMs and players can spend fate points, but all of them have the same mechanical effect, and soon they blur together. One character can shoot lasers out of their eyes, which is mechanically identical to another character firing their revolver. Without mechanical distinction, the characters can fade until they all look the same. Combat in Fate is a real slog. There are few interesting decisions for your players to make, just a lot of attacking until one side runs out of health. The most effective strategy is an unintuitive method of combining attacks into one mega strike, but once your players figure it out they’ll have no reason to do anything else. And of course there’s the lack of failure. I listed that as a pro because failures can be difficult for new GMs to deal with, but as you gain experience it will get frustrating. The best characters don’t always get what they want, but PCs in Fate are so empowered it’s difficult to give them any spinach without resorting to house rules. Run a campaign in a setting you really like but are afraid to touch because it has too much technology or magic. Star Trek is a prime example. Sure, according to some sources a phaser on the highest setting can explode 120 cubic meters of rock, but in Fate that’s still the same Shooting roll as anywhere else. With the abusable elements kept in check by Fate’s abstract rules, you can focus on the story you want to tell. Monsters strike at humanity from the shadows, and only a handful of humans have the knowledge and skill to fight back. In Hunter, your players form a cell of hunters* sworn to protect their fellows from the things that go bump in the night. The PCs might be everyday folk just doing what needs to be done or part of a highly trained government task force, but the mission and hazards are the same either way. Hunter is a straightforward system to learn, especially its character creation. Even new players can go from concept to finished PC in about an hour, and they rarely need to struggle with the system to get the abilities they want. That’s good for you, because you’ll have fewer cases of irritated players expecting you to solve some problem in character creation. Unlike other games in the New World of Darkness,* PCs in Hunter rarely have any supernatural powers, which saves you the trouble of trying to create challenges for characters who can move at superspeed or teleport through walls. Hunter PCs are highly skilled, but they still operate within normal human limits. The Hunter setting lends itself to conflict, which is great for new GMs. You don’t have to struggle for a plot each week, because you can just describe some new monster tearing up the town. If you want something more cerebral, you can use an intelligent enemy like a ghost or vampire that the PCs must outsmart. If you’re ever completely bereft of inspiration, TV shows like Supernatural and Buffy will give you all the ideas you’ll ever need. Hunter’s mechanics also create a natural arc for each character. A PC’s Morality stat slowly falls as the character deals with monsters and the monstrous acts needed to defeat them. If Morality falls too low, the character cracks under the pressure of their work and becomes just as dangerous as what they hunt. You can up the pressure by presenting difficult moral choices before the PCs for maximum pathos. Hunter isn’t as well balanced as other games on this list, which can be a real problem if your players are experienced in the system. Even if you limit options to only the core book, which you should, players will eventually get their hands on something overpowered. Gear is a particular problem. Because most hunters have no magic, they’ll need equipment to fight monsters, but Hunter has no robust rules for determining how much gear the PCs should have. If you’re not careful, the party’s armory will grow and grow until they have a high-powered firearm for every occasion. Hunter’s combat can also be difficult to handle. Unlike 4E or Fate, Hunter PCs don’t have a huge pool of health to protect them from death. It’s all too easy for a monster’s attack to roll more damage than you expected and suddenly one of your players needs a new character. While the possibility of death makes the threat seem more real, losing a PC without warning can seriously damage your story, so watch out for that. Hunter is a fantastic system for running a medium-to-long campaign focused on your party’s journey. With the Morality rules, you can really push each character to the edge and see what makes them tick. The system’s flexibility means you can put your PCs through a variety of challenges, so your sessions won’t grow stale as you cook up all new things to go bump in the night. Based off a comic of the same name, Mouse Guard is a game where your players are mice who guard things, but that’s not all! They’ll also fight weasels, hide from foxes, argue politics, and perhaps most importantly, deliver the mail. Mouse civilization rests on a narrow edge, and only the PCs can keep it from tottering over. Mouse Guard’s core rules are superb. They provide enough differentiation for every PC to feel unique, and yet most options are very well balanced. The rules are also easy to learn for new players, so you won’t have to spend a big chunk of time explaining them. 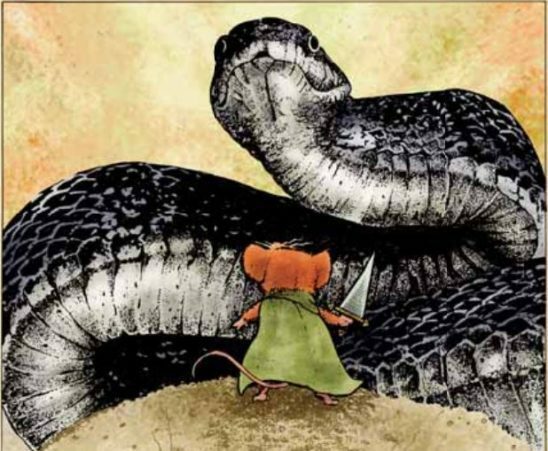 Beyond ease of learning, Mouse Guard’s rules encourage and facilitate roleplaying. Players are rewarded not only for playing up their character’s traits but also for slowly changing who their characters are over time, like some kind of protagonist. Mouse Guard even makes it fun to play less-experienced characters, something that’s extremely rare among roleplaying games. The rules also provide a support system for you as the GM to plan around. To do this, the game is divided into a GM turn and a player turn. In the GM turn, you throw all sorts of problems at the poor PCs. In the player turn, the PCs get a chance to rest and recuperate. The turns build in natural pacing with little effort on your part and are flexible enough not to restrain your story. Finally, Mouse Guard’s setting allows for a huge variety of stories. One week your patrol might be tasked with evacuating a flooded town; the next they might be dispatched to push back an encroaching horde of crabs. * If political intrigue is your forte, Mouse Guard has you covered there, too. The Guard’s position within mouse society is a tenuous one, with local leaders demanding more autonomy and a struggle for power always threatening from within. Much as I love Mouse Guard, it does have flaws. For one, its combat system* isn’t great. It has a serious balance issue, where the most optimal strategy is simply to mash the Attack action over and over again. Worse, some players have difficulty getting invested in the combat because its rules are so abstract that there’s no clear connection to what’s happening in the story. Mouse Guard’s advancement system can also be a stumbling block for some. It requires players to note when they use a skill, and the skill increases after a certain number of uses. While this has the advantage of developing skills organically over time, some players don’t enjoy the extra bookkeeping. Then there’s the very conceit of playing mice. Being a mouse is central to Mouse Guard, but whenever you pitch this system to your group, I guarantee at least one player* will get really excited about playing a rat, weasel, beaver, etc. Mouse Guard’s rules do not support playing anything but a mouse, so unless you’re willing to do a lot of house ruling, make it clear up front that this game is all mice, all the time. Mouse Guard is a flexible system, but to get the most use out of it I recommend as long a campaign as your group can comfortably handle. It’s really satisfying to watch your patrol grow and change over time, running into trouble and righting wrongs across mouse territory. With a longer campaign you can slowly build from lower-stake missions about delivering mail into a grand finale of defending Lockhaven from a pack of wolves. When you’re first putting up your GM screen, it’s important to have a system that won’t demand too much of you. The games on this list will serve you well as you’re learning the craft, even if you end up outgrowing them later. They’ll make sure you have the necessary experience to take on more challenging systems. Except Mouse Guard. Mouse Guard is always the best. The Ranger does have an at-will power that lets them attack twice, but it’s flavored as two distinct shots, not one shot with two arrows. White Wolf was never too creative on the name front. Or Chronicles of Darkness as it’s now officially called. They may or may not have weak points for massive damage. Which can also be used for social conflicts or even difficult journeys. Also: Apocalypse World. Roll 2d6+one of five stats, you choose from moves that modify how the rules apply to your character rather than slogging through a huge spell list, and it’s very clearly LGBTQ-normative. The book itself gets pretty cuss-y trying to set the tone, but that’s honestly my only big complaint. It’s not suitable if you’re looking for super-tactical combat, but it facilitates roleplaying beautifully. If you don’t like the original, there are also a lot of great Apocalypse Engine systems based on it, like Urban Shadows (Urban Fantasy), Fellowship (Lord of the Rings-style quest stories with shared control of lore) and even some fanhacks like Star Wars World. It’s basically the same thing as 4th Edition D&D, but Star Wars Saga Edition is a good game to start with, if only because most players will be fairly familiar with the setting starting out. Who doesn’t want to be a Wookie Jedi? I also suggest the Cypher system/Numenera, the rules are quite easy and character creation is simple and quick. Also with Numenera being so weird the natural snaffus made by new GMs can be covered up with the strange world. Mouse Guard is amazing and I am glad to see it represented here as it is a great way to introduce new people to the hobby.